Microgrid companies continue to find fertile turf in Alaska, this time with the help of a competition offered by the Alaska Center for Microgrid Technologies Commercialization. 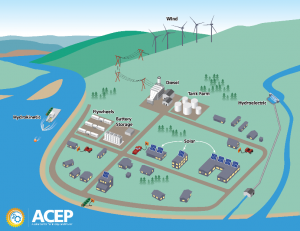 Led by the Alaska Center for Energy and Power (ACEP), the three-year-old competition provides technical and business assistance to improve microgrid technologies and give new ventures a boost. Intergrid, an inverter company based in Temple, N.H., won the competition’s grand prize laboratory testing award. The award includes 40 lab days, which the company will use for testing its equipment at the University of Alaska Fairbanks. Able to evaluate equipment under a range of real-world scenarios, the lab will offer a setting for Intergrid to test the design for a replicable energy storage system meant for rural Alaskan communities. ACEP also presented a technology seed award to Oklo, a privately funded company based in Sunnyvale, Calif., working on design of a cost-effective, reliable, carbon-free nuclear reactor. The award provides 125 hours of technical consultation and analysis. ACEP is evaluating possible settings for using the heat and power generated by the fast reactors that Oklo is envisioning. Oklo will be working with ACEP to disseminate highlights from the analysis. “Our guiding principle is to make reactors people want. This means designing reactors that meet a specific customer need, rather than designing a reactor and subsequently searching out potential customers for that reactor,” said Jacob DeWitte, Oklo CEO. 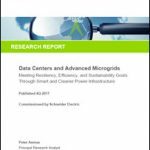 The microgrid companies were selected based on the reviews and recommendations of an independent panel of technical, financial and commercialization experts. With 12 percent of the world’s microgrids, Alaska has become a seed region for microgrid innovation. Remote villages with little or no access to the grid make for an ideal setting for microgrids, as does the state’s high cost of electricity, second only to Hawaii in the U.S. The Alaska Center for Microgrid Technologies Commercialization is funded through the U.S. Economic Development Administration, the Office of Naval Research and the University of Alaska. The competition focuses on providing technical and business assistance to accelerate marketability of new microgrids and improve the affordability and reliability of microgrid energy systems. Track news about emerging microgrid companies. Follow Microgrid Knowledge on Twitter @MicrogridNews.